This photograph was taken at Bowcombe creek, which is part of the Salcombe and Kingsbridge estuary system, on the 2nd January 2010. 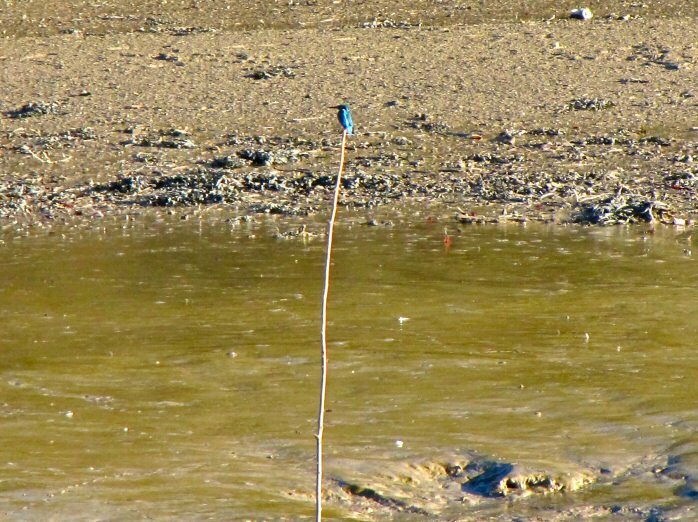 The kingfisher was making use of sticks placed to mark the deepest channel at high tide, diving repeatedly to catch its prey before returning to its perch. We were able to watch it at our leisure but were unfortunately not able to approach closer to take a decent photograph, at least not without the danger of disturbing its hunt.